Features a 5/32" Teflon slider, rated as a Speed 7. 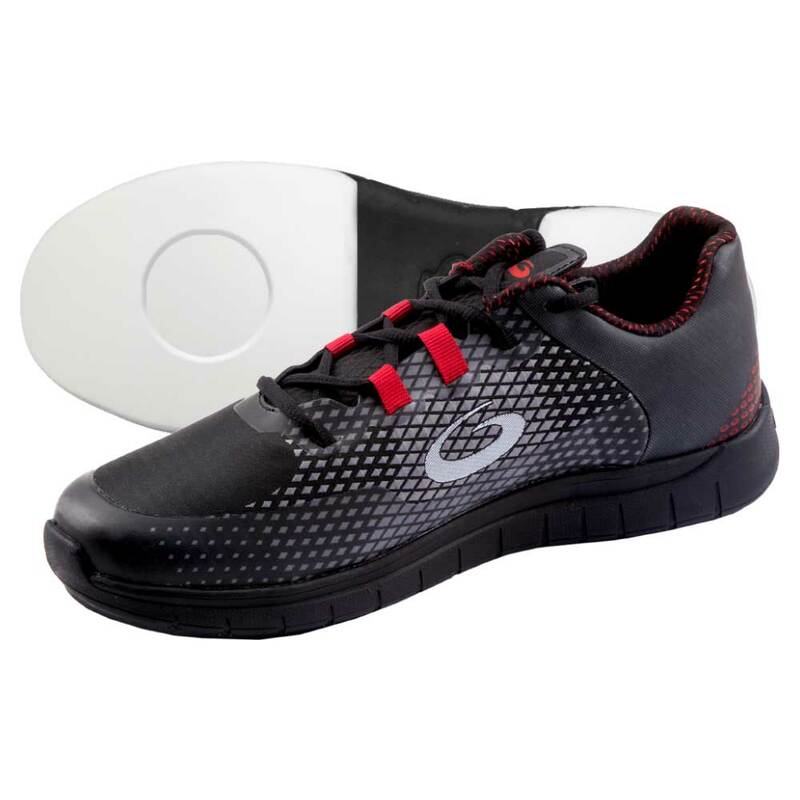 These Swift shoes are designed for left-handed curlers and come with a slider on the right foot and a gripper on the left foot. 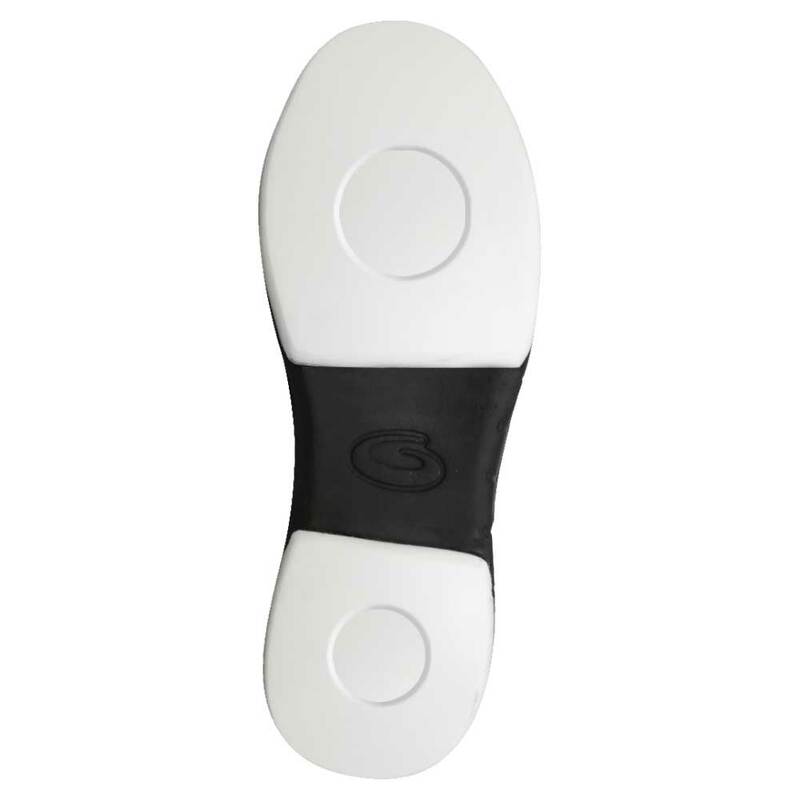 Swift left handed curling shoes feature a 5/32" Teflon slider on the right foot (for left-handed curlers) and a premium rubber gripper sole on the left foot. The slider has strategically placed indents on the toe and heel that distribute weight to the periphery, enhancing stability. This makes the Swift a great option for anyone looking for high end stability features and a good sliding speed at a reasonable price. The G50 style is also available with a thicker 1/4" Teflon slider on the Velocity model for an even faster slide, rated as speed 10. If you would prefer a slower Speed 5 version of the shoe check out the Breeze, which comes with a Speed 5 rated 3/32" Teflon slider. The Stance offers a "double gripper" version of the G50, with grippers on both feet.